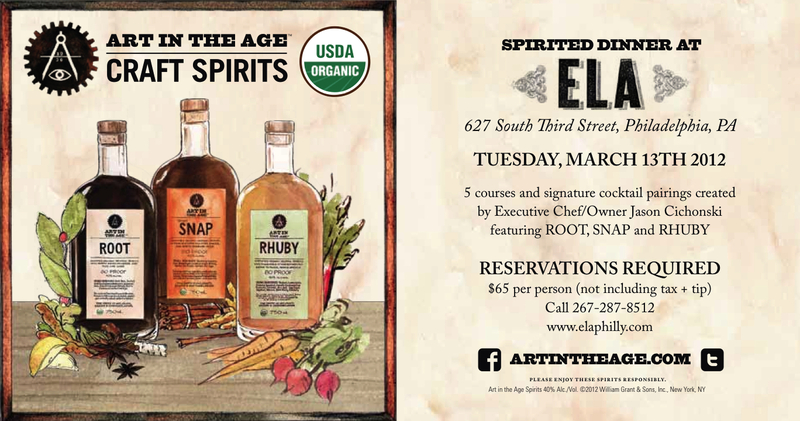 Executive Chef/Owner Jason Cichonski will be serving up a five course meal, paired with his own signature Art in the Age cocktails featuring ROOT, SNAP and RHUBY. Dinner, with cocktail pairings is $65, not including tax and tip. Reservations will be taken throughout the evening and are a must! Call 267-687-8512.